Some final pieces were manufactured in-house on our own 3D printers such as the zCorp 350, and some were produced using 3D Printing services such as Shapeways. This gave access to a wide range of materials, including a variety of plastics as well as 3D Printed metals such as Brass. Prototyping the designs using our in-house 3D Printing facilities not only reduced development costs for the project, but also sped up the process ensuring the whole collection could be developed and produced in the short turnaround time required in the Fashion Industry. Even some pieces that don't feature a 3D Printed component have used the technology. 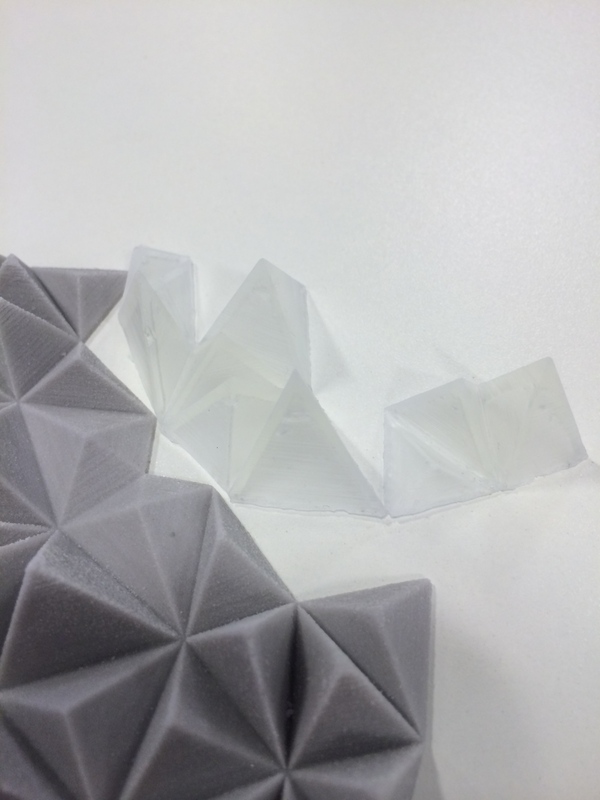 Moulds were 3D Printed and filled with resins, producing shapes used in final pieces.